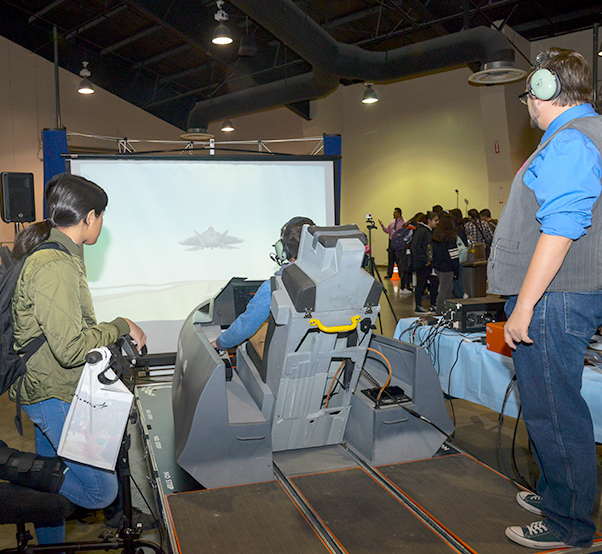 A student flies an aircraft in a flight simulator during the 27th annual Salute to Youth career fair at the Antelope Valley Fair and Event Center in Lancaster, Calif., Oct. 11, 2018. The flight simulator was provided by the 812th Aircraft Instrumentation Test Squadron from Edwards Air Force Base. The simulator helps engineers showcase some of the work they do at Edwards. 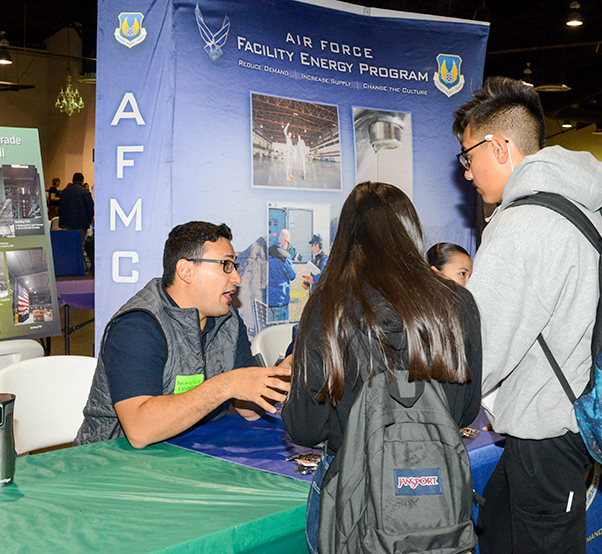 Various organizations from Edwards Air Force Base participated in the 27th annual Salute to Youth career fair at the Antelope Valley Fair and Event Center in Lancaster, Calif., Oct. 11, 2018. The career fair connects local teenage school children with representatives from both the private and public employment sectors. The goal of the event is to educate children about the numerous career options available to them from within the Antelope Valley. Dale’s team brought two different flight simulators as attention-grabbing tools to connect with the children at the fair. Dale is a native of the Antelope Valley and said events such as the career fair would have been beneficial to him when he was younger. He hopes that by attending the fair he can spark some interest in the engineering field with his young audience. 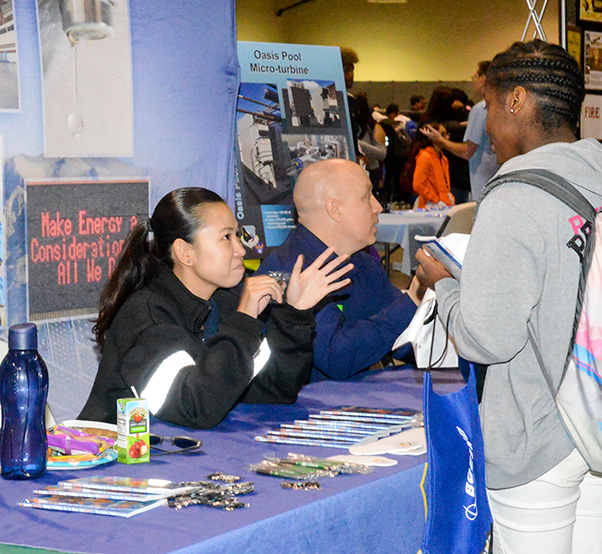 Ashley Vu, an engineer with 412th Civil Engineer Group at Edwards Air Force Base, talks with high school students about her job as an engineer during the 27th annual Salute to Youth career fair at the Antelope Valley Fair and Event Center in Lancaster, Calif., Oct. 11, 2018. Another engineer present at the event was Ashley Vu, a civil engineer with the 412th Civil Engineer Group. She talked to the children about her job as a civil engineer, and while not as glitzy as an aeronautical engineer, it is still a viable career field and has important day-to-day functions. Vu also said that she hopes her presence at the fair as a young, Asian-American woman, would help to inspire other girls to consider engineering as a career. 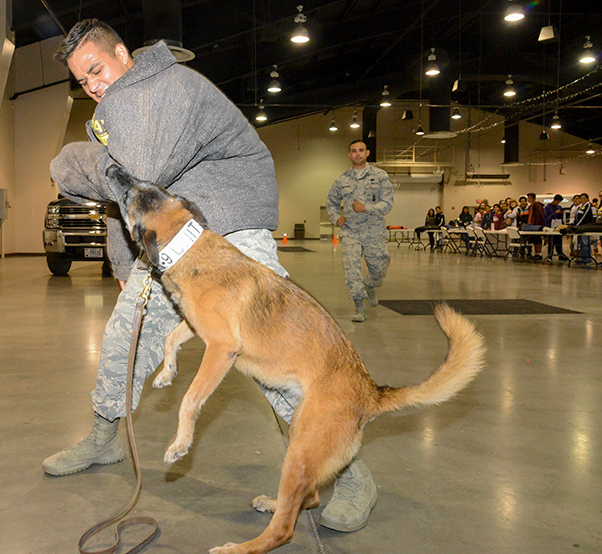 Ria, a military working dog, and Senior Airman Gibran Hernandez, both with 412th Security Forces Squadron, provide a demonstration of suspect apprehension operations during the 27th annual Salute to Youth career fair at the Antelope Valley Fair and Event Center in Lancaster, Calif., Oct. 11, 2018. 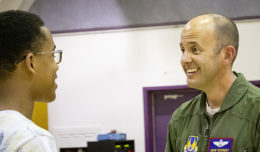 Airmen from the 412th SFS were on hand to educate high school children about possible careers with the Air Force. 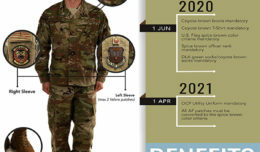 Besides civilian engineers, Edwards was also represented by active duty personnel. Airmen from the 412th Security Forces Squadron were on hand to highlight some of the tools and equipment they utilize as part of their job providing police services to the base. They were there to educate the high school children about other career fields offered by the Air Force and to dispel popular myths. Bayram Kurbanov, an engineer with 412th Civil Engineer Group at Edwards Air Force Base, talks with high school students about his job as an engineer during the 27th annual Salute to Youth career fair at the Antelope Valley Fair and Event Center in Lancaster, Calif., Oct. 11, 2018. 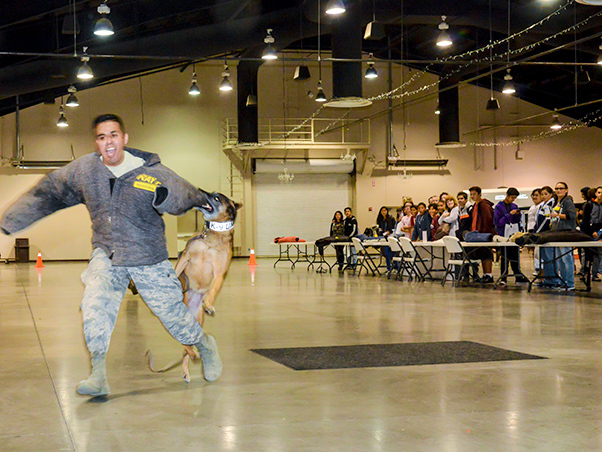 Ria, a military working dog, and Senior Airman Gibran Hernandez, both with 412th Security Forces Squadron, provide a demonstration of suspect apprehension operations during the 27th annual Salute to Youth career fair at the Antelope Valley Fair and Event Center in Lancaster, Calif., Oct. 11. Airmen from the 412th SFS were on hand to educate high school children about possible careers with the Air Force.